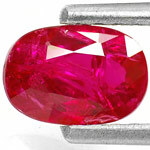 About Us :: StarRuby.in :: Exotic Gemstones - Pure. Natural. Untreated. StarRuby.in is the online property of Harshil Jewellers based in Mumbai, India. Established in the late 1980s, Harshil Jewellers quickly established itself as one of the leading importers, manufacturers and exporters of the finest quality rubies, sapphires, emeralds and other precious & semi-precious gemstones. The firm is presently run by the founder Mr. Parimal C. Zaveri along with his two sons Harshil P. Zaveri and Vismay P. Zaveri, with the help of 20 hard-working staff members plus a group of gem cutters and jewelry craftsmen. 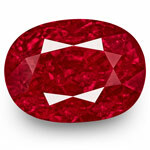 We, at StarRuby.in, are careful to choose among the varied offerings of gemstones to provide you with nothing but the best! We always aim to bring you the ultimate in quality and choice. Gemstones have been our family business since the last 5 generations, and we continue to expand in this field. We source rough gemstones directly from mining areas in various African & Asian countries, which are then cut and polished into beautiful gems at our cutting centres at Mumbai & Jaipur. Unlike most other gem dealers, all gemstones we sell are guaranteed Natural and Untreated. We thank you for visiting StarRuby.in and hope to win the privilege of serving you. If you have any comments, questions or suggestions, we would love to hear from you... kindly drop us a line.